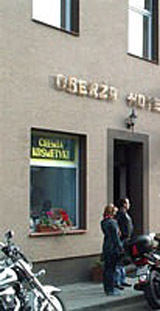 The hotel is located in Podkarpackie Province, about 40 km from Rzeszow. The hotel has 17 beds in double, triple and quadruple rooms, as well as a family, 2-room apartment for 6 people. All rooms are equipped with private bathroom and TV. There is a restaurant for 20 people. The restaurant offers home cooking, breakfasts, lunches, dinners own production. The restaurant is open to guests upon request. In the summer months the hotel organizes rafting on river San and bonfires, in winter: sleigh rides and other attractions.